Many plastic additives, such as flame retardants, and even the chemical action of the melt itself can corrode the injection mold cavity. When the filler and reinforcing material containing abrasives are mixed in the plastic raw material, the damage of injection mold is more likely to be aggravated. For this, you'd better use corrosion-resistant steel, or to perform surface plating treatment on the injection mold, chrome plating or nickel plating. Good injecton mold temperature control has a great influence on the quality of plastic parts during injection molding, especially when processing semi-crystalline thermoplastics. Generally, the thermal conductivity of copper alloys is better than that of alloy steels, but their modulus of elasticity, hardness and durability are lower. Insufficient thermal conductivity of the steel can be compensated by cooling system. In order to increase the rigidity and mechanical properties of plastic parts, glass fiber and inorganic fillers are widely used in plastic formulations. After adding these additives, they are injected into the mold cavity at high speed together with the melt, and the friction in the mold cavity is extremely high. If the mold material is not wear-resistant, it is easy to cause excessive wear of the cavity. 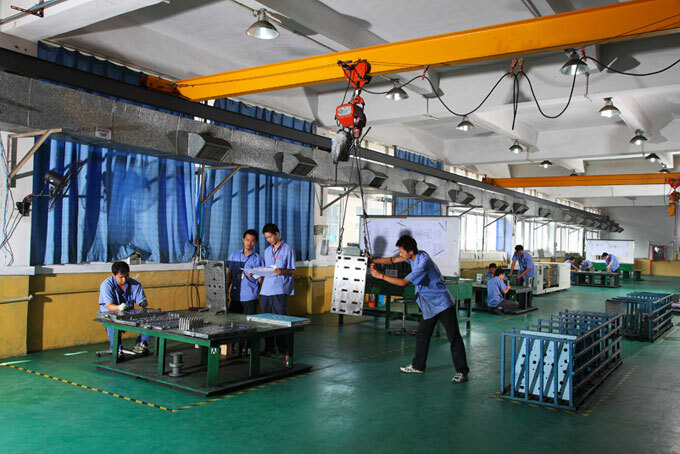 Therefore, the material for making such a mold should have high wear resistance. Inner wall of mold cavity has high requirements, the roughness of it requires being very small to meet the requirement of good gloss on the surface of plastic part. For this, mold cavity is generally required to be polished, and the brighter the surface, the better. Therefore, the mold material is required to be easy to polish, the material selected can’t have these defects such as impurities and pores.